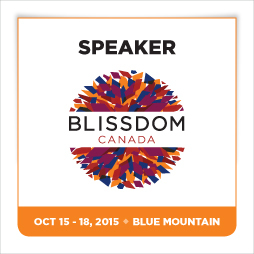 Last fall, I talked about the Blissdom Canada Social Media Conference and how I presented a micro-session there. What I didn’t say was that I did most of the planning for that session on my BlackBerry Passport. I didn’t want to have to carry my laptop around for the day, or make the trek back across Blue Mountain Resort to drop it back in my room. Instead I used Docs to go, and planned out my entire presentation on my mobile device. I travel 1-2 days a week and work remotely. 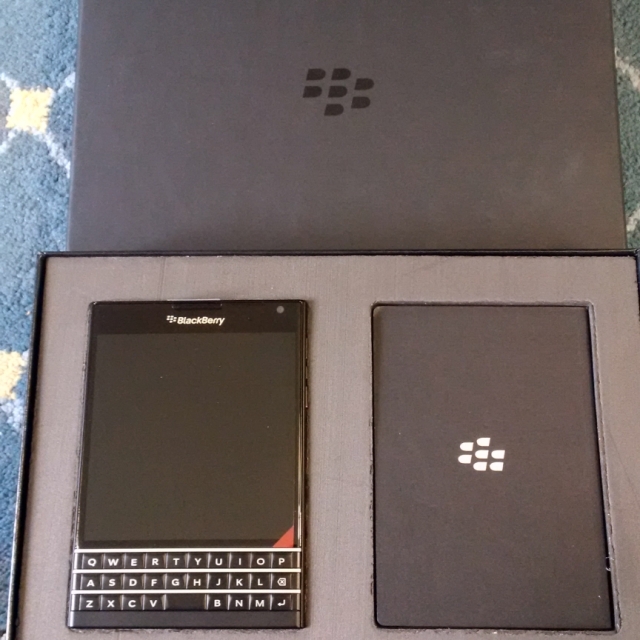 Lately I’ve been doing all the work I need with just my BlackBerry Passport. I have a list of clients and projects on the go in BlackBerry Remember – I love how easy it is to add notes to items or mark items as finished and how I can flag email messages and attach them to the task list so that I’m not constantly going back and forth to check details from an email. I currently have 14 projects on the go and they’re all lined up neatly within the Remember app. In May, I’m going to be speaking at ROAM – another Social Media event – this time in Vancouver. My travel arrangements are in BlackBerry Travel – including confirmation numbers, hotel phone numbers, and event details. If someone asks me where I’ll be on one of the days when I’m in Vancouver, all I have to do is open BlackBerry Travel and all the information is right there. I’m not taking my laptop to ROAM either. Having attended a number of conferences in the last 12 months and presented at one, I’m confident that my BlackBerry Passport will be all I need to work on the go. Working remotely via the BlackBerry Passport is awesome. One of the things that I love most about working from my BlackBerry is that unlike some other phones where you can only edit or view a document on the go, my BlackBerry Passport allows me to start a new document or spreadsheet, so I can start on a new project before I get back to my computer. Given that the vast majority of my work is done in either Excel or Word, the ability to start documents is a must. There are so many little things to love about my Passport too – The Hub, for example. I’ve written about my love of the Hub before but it’s at a new level now that I’m emailing attachments almost daily. I love that I can search through email attachments directly from the hub while I’m on the phone with a client – there’s no lost time, which is good since I have very little to spare these days. I love the way my Passport looks too – fashion isn’t a deal-breaker for me but it’s nice when function and fashion meld together so seamlessly. My Passport battery gets me through the work day – and I’ve been told I’m exceptionally hard on battery life due to the number of high drain apps I like to run at the same time. I use Facebook a lot for business these days, and while the loss of the dedicated Facebook app was hard on me, I actually enjoy the mobile browser experience more in terms of the capabilities to manage my pages. I’ve been off of Twitter lately due to some ugliness there, but check in via Blaq or the native Twitter app daily even if I’m not tweeting as much. I’m hoping that the problem has been solved by my recent blocking spree, and will be back to using Twitter to talk about the things I love. Instagram – while there isn’t a native client for Instagram, there is a great app called Igrann that gives me all the access I need to take amazing photos and share them with the world. I love how easy it is to edit pictures in the native BlackBerry photo editor and a huge bonus is the 1:1 ratio that is the default on the Passport – making all my pictures perfect for Instagram without cropping (Yes, I know cropping is pretty simple but hey…saving time and effort is awesome). The Passport camera is amazing and I love taking effortless panorama shots. Panorama picture from the last Argos game at the Rogers Centre. I love how panorama mode allowed me to capture everything in one shot. I use BlackBerry Messenger to set up meetings more than I use email now. I’ve convinced quite a few of my clients to try out BBM for Android or Iphone (those that aren’t already on BlackBerry devices) and love how easy it is to chat, add pictures, and even send works in progress back and forth over BBM. I could do that over text message I guess, but then I’m using MMS which can be expensive for some people, while BBM works over wifi. I’m not a heavy email user – I probably send 25 a day and receive about 100 that I need to read, but I use my BlackBerry Passport about 95% of the time when I’m sending or reading emails. It’s just that much more convenient. I also use my car’s Bluetooth connection and have the BlackBerry Assistant read emails to me if I’m driving when an important email comes in. Recently one of my friends joked that BlackBerry devices seem to be an extension of me – whether it was my Z30, my Passport, or my Classic, they seem like natural extensions of my body. I choose to take that as a compliment. We are well suited for each other – BlackBerry devices enable me to keep my busy life organized and allow me to work wherever I find myself as long as I have a signal. I couldn’t imagine trying to do what I do without a BlackBerry in my hand – I’m pretty sure it would be theoretically possible, but I know it wouldn’t be anywhere near as enjoyable. Have questions? Feel free to leave them below or find me on Social Media – I’m always willing to help #TeamBlackBerry. Oh and this post? I wrote it entirely on my Passport – all 1300 words. Just knew I would like the passport if I ever got it in my hands and now more convinced than ever. The size, keyboard, and the ease of working from anywhere. I really like my phone to be for more than social media and a few photos but they never quite manage to rise to the challenge, but I think the Passport might prove the exception. 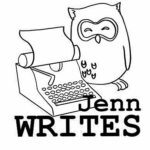 Thanks for sharing you insights Jenn. I think it’s pretty cool that you have been so loyal to BB after all this time. It’s great to find something that works for you.